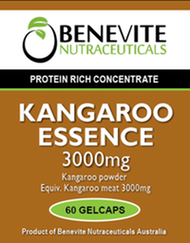 Benevite Nutraceuticals™ Kangaroo Essential is an extremely potent preparation rich in natural hormones, proteins, zinc and iron, extracted using only the most advanced production techniques. This highly concentrated extract has demonstrated proven ability to increase physical strength, enhance sexual energy, regenerate vital functions, enhance sperm production, improve weakness in limbs, decelerate the ageing process and lessen fatigue associated indications. Nutraceuticals™ Kangaroo Essential is also beneficial in the reduction and management of anxiety relating to performance. 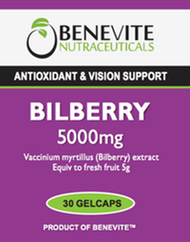 Adults, take 1 capsule immediately after meals.